PERSONAL ROBOTS ARE COMING IN OUR HOMES. JIBO ROBOT AND PILLO ROBOT. Will it ever be possible for a robot to know our tastes and even to get wishes for our birthday? Can these taking care of our health? Can these remember our commitments? All this is possible today. Robots have somehow become part of our lives and will be more and more present in our homes. Two exemples of this are Jibo robot and Pillo robot. Jibo is a sort of social robot designed to help the family stay connected in the home and it is aimed at living with humans. Home is its natural habit, it can recognizes faces and voices, can takes photos, makes video calls, reads and sends messages, remembers an appointment, and interacts with family. It can recognize the persons of the family thanks to thanks to two high-resolution cameras and a 360 degree sonic microphone. It’s only 28 inches tall and weighs just over 2 kg. These features allow it to easily move it to the rooms in the house where it serves. In 2014 Jibo raised more than $3 million from excited backers. Jibo is composed by a white orb that moves around the screen, it blinks and it smiles at you. The design is realistic, the voice sounds like a 10 years old boy. It is full of sensors and speakers. During the setup it teaches you the phrase: “Hey Jibo” which you always have to say to get his attention. It is special because it can learn habits and preferences of all members of the family. If a blue ring around his waist lights up, you know it worked. When it doesn’t know something it apologizes to you. 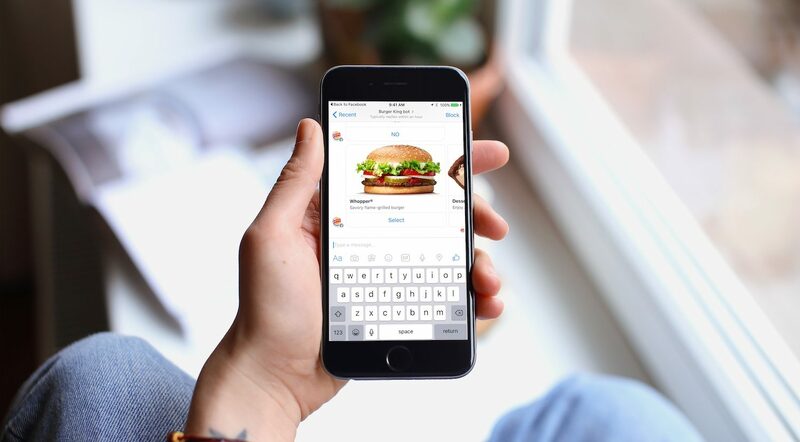 He can’t yet order food through apps, browse the web, play music, initiate video chats or give you recipes. Those are just a few skills they promised. In the following video is shown how they can change our daily actions thanks to social robots like Jibo. In this case an example of how to order a pizza. The price is 749$ but it is not ever available to buy. We need to book it before to buy. We are going to have a new open market where many developers can develop and create amazing apps. Similar to the latter but with different functions there is Pillo. Pillo is a small nursing robot who takes care of our family and our healty. It can to deliver the medicines at the right time and with the right dosage, it is possible to have a direct contact with the doctor who appears on the screen and evaluating our physical condition. In fact inside the round head has a medicine container while facial recognition allows him to understand who’s in front to give him the right pills. It is also important that it can also see who has forgotten to take the medicines and remind him. 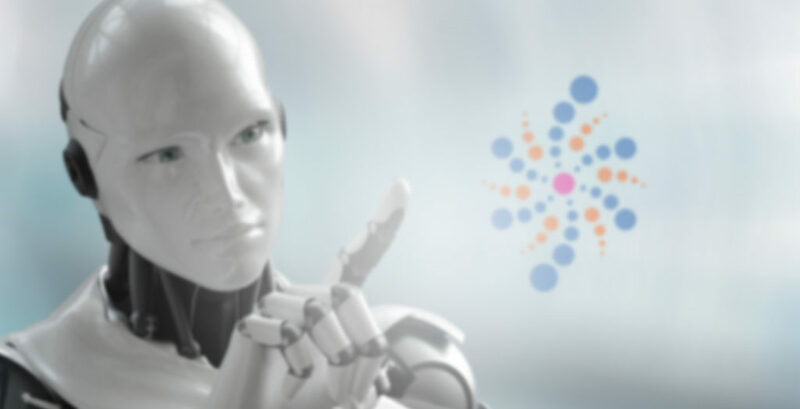 In the social robot market this is an innovative product that was lacking in the sanitary field, the purpose of which is to bring care directly to the home, avoiding clogging hospitals and making long queues from the doctor. Anyway it must be understood as long as it can be useful without replacing the doctor in his main tasks. It does not have to replace the doctor but be a link to this. Pillo will have an app store and in a shortly time will have many more functions. An ambitious pills dispenser robot as Pillo is not cheap, with a final $ 599 retail price. However, if you support the Indiegogo campaign, you can get a $ 269 pre-prepay bonus plus shipping cost and is shipped Worldwide. However Pillo and Jibo are not the only social robots on the market. We can think for example at Amazon Echo or at the next Apple Homepod. We are preparing to live in a world not only more technologically but with robots who will live with us, will replace some of our functions and will be part of our lives. Probably will come a time not far off that we will start thinking about these robots more like a person than an appliance. Is it fair, for example, that a robot replaces the mother in her son’s growth example reading a fairy tale? I do not think so. Probably it meets limits. However A robot can not replace a doctor, can not take part in our social life. These robots should play in a family a role don’t isolating people, like smartphone and tablet screens tend to do, but even encourage growth mindset and inquisitiveness in children. We need to understand where technology can go and what are its limits. 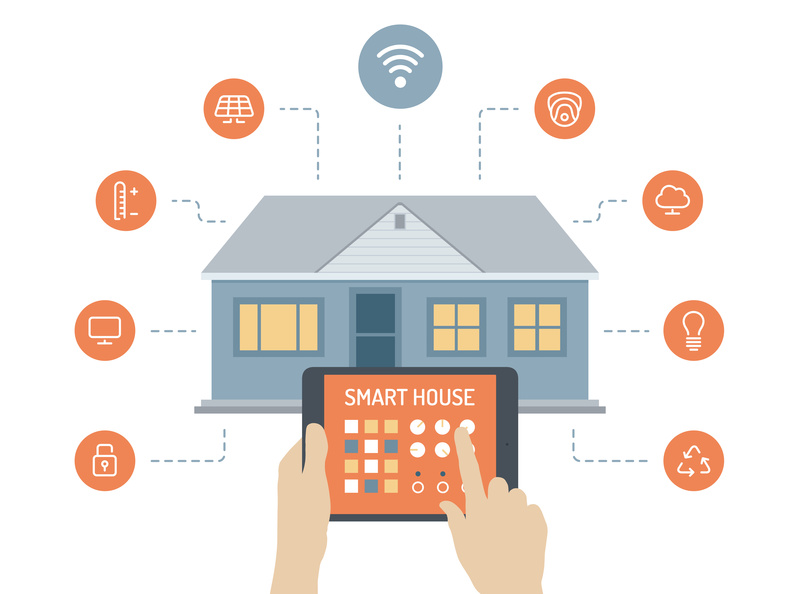 Smart home: An effective technological solution for environmental problems? In recent years, we have seen a radical change in information technology. This race for innovation was accompanied by a strong growth in our demand for natural resources such as raw materials, energy production and space. This is why the digital revolution and the ecological transition are two big issues that require a common vision. This is probably the system that allows the greatest possible energy savings by optimizing the consumption related to air conditioning, heating or lighting. Thanks to automation and sensors, interconnected electrical equipment manages the energy consumption (heating, lighting, water, ventilation, etc.) as much as possible while keeping the comfort of the occupied areas under control. For example, it is possible to configure the heating setting in each room at the desired time, configure the occupancy sensor to manage the correct room temperature, or turn off or turn on a remote heater. It is also possible to have a shutter schedule to bring in the heat of the sun in winter or avoid it in summer or manage the lighting of each room. This system also ensures optimal home security. Indeed, smoke and carbon monoxide detectors can prevent fires and accidents due to a malfunction of the heaters. Finally, presence detectors or cameras can detect intrusions into it. However, this ecological transition is very expensive in the short term. Indeed the smart home is perceived as a luxury. The cost of this technology is calculated based on the size of the housing, the number of detectors and accessories, and the features requested. This usually requires a big investment. But it also requires a common global effort, which makes the transition complex to orchestrate: renewable energies, being, for the moment, less profitable than fossil and nuclear energies. 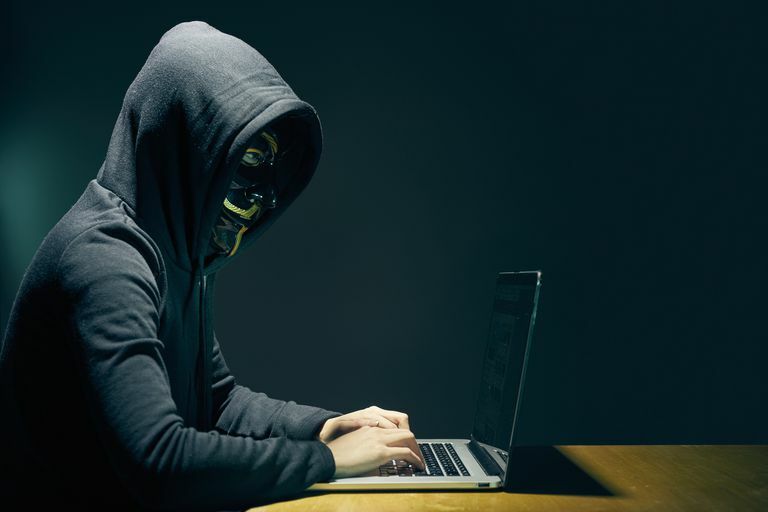 Moreover, in the event of a power failure or malicious electronic intrusions, the entire home is likely to have harmful consequences. Finally, new technologies require non-renewable raw materials and produce tons of electronic waste. I therefore strongly encourage individuals to adopt this system while taking into account, by buying electronic devices, risks and limits, such as digital pollution. Nevertheless, it is important to be aware of the energy impact of homes on the environment, by equipping them with interconnected and sustainable smart devices, to be able to respond as much as possible to environmental problems. 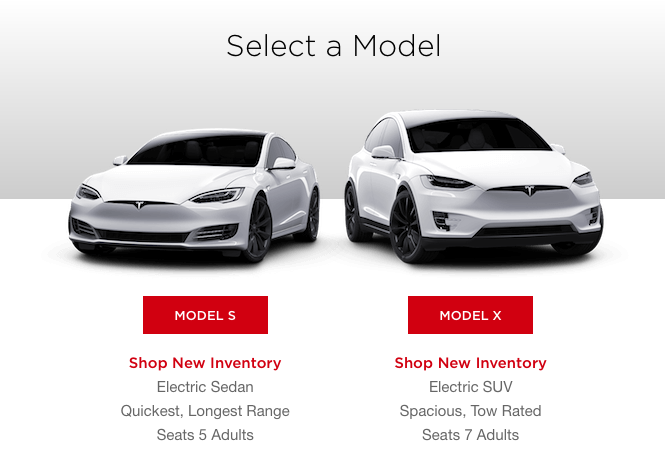 Tesla, One step further to change transports. Global warming is amplifying and beating records every day. It is happening due to many reasons for which we can sometimes act, sometimes not. Nevertheless, for years now, Tesla’s name is linked with a game changer if it comes to companies that are pioneer in new clean way of living. 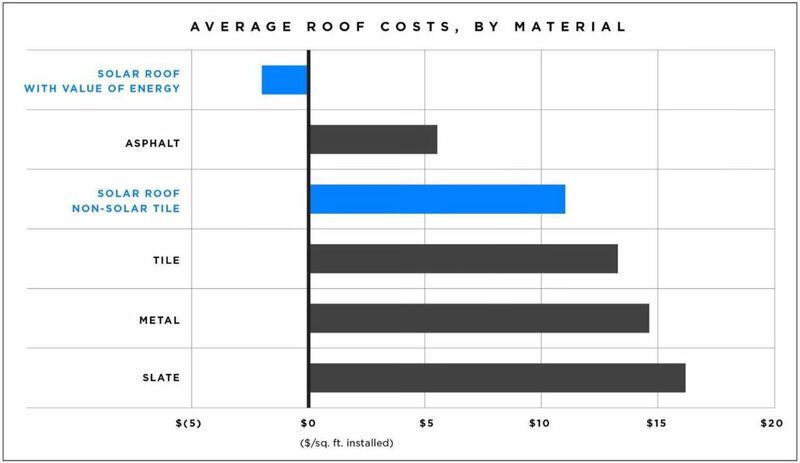 Tesla’s cars, Tesla’s batteries, Tesla’s solar roof. You have probably already heard about those products. Changes made thanks to Tesla are becoming more and more appreciated all around the world and making changes that are good for our planet. However, Tesla wants to go one step further. 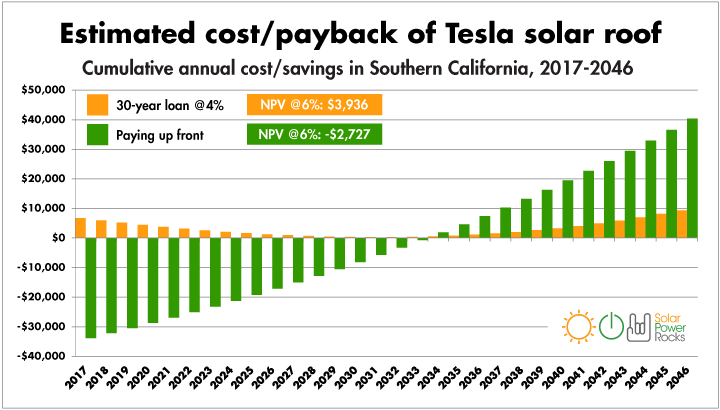 After delivering more than 76,000 cars in 2016 worldwide and implementing many superchargers (Tesla’s “gas” stations to “refuel” their cars), the company from California presented on the 16th of November it’s way to look at the road transports in the next years. Semi, is a fully electric truck with a range of 300 to 500 miles (480 – 800km) when it is completely loaded and on a highway at legal speed, not very impressive in comparison to up to more than 2000 miles (3200 km) range for a diesel truck, but it can be charged thanks to a megacharger and have more than 400 miles (640 km) range after 30 minutes of charge, all of that being 20% less expansive than a normal diesel truck. 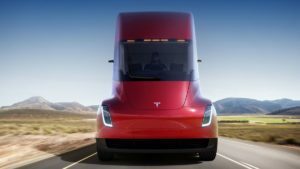 Tesla states that “Semi is the safest, most comfortable truck ever. Four independent motors provide maximum power and acceleration and require the lowest energy cost per mile”. With its 4 electric engines, the 40 tons machine can accelerate from 0 to 95km/h in less than 20 seconds and uses all the new technologies that are already implemented in Tesla cars for the security. Tesla also worked a lot on the aerodynamics of the truck, being the black spot of the trucks we are used to know. The drag coefficient (cd) went from 0,65-0,7 in a normal truck to 0,36 in the semi. In comparison, the newest Bugatti Chiron has a cd or 0,38. The economy of this truck compared to a “normal” one could exceed 200,000$ in fuel savings through this technological solution and electric engines. In addition, according to CITEPA, 7,9% of Co2 emissions are generated by Diesel trucks. Thanks to this new truck, those emissions could decrease significantly. 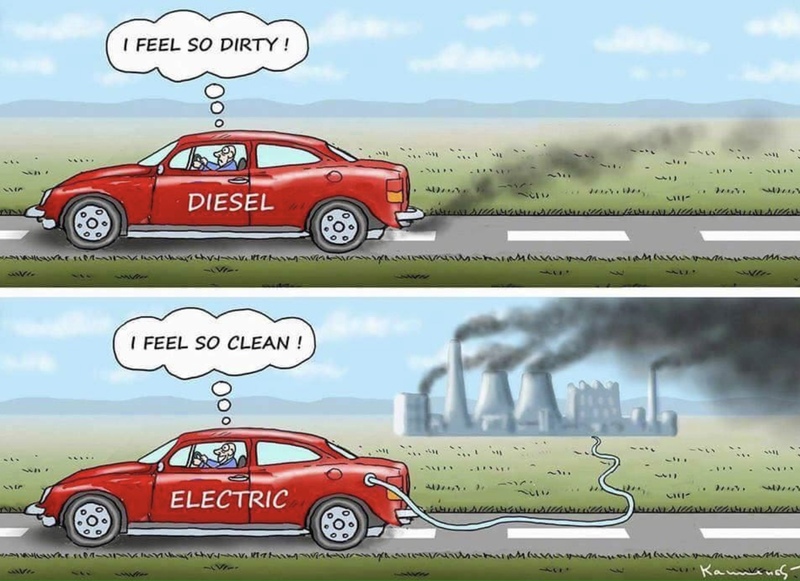 But on the other hand, according to UCSUSA, the production of such kind of cars/trucks, generates more carbon emissions than to build a conventional one, moreover, the electricity for this car has to be produced in some countries thanks to renewable energy, but sometimes, it is only possible with electricity from a nuclear power station or fossil power station, so in this case, the green side of it would be even worse than a heated engine. In my opinion, the Tesla Semi is a good idea, thanks to many innovations, and a totally new way of looking at road transportation it is really something that can be good for the planet and for people working in this field. 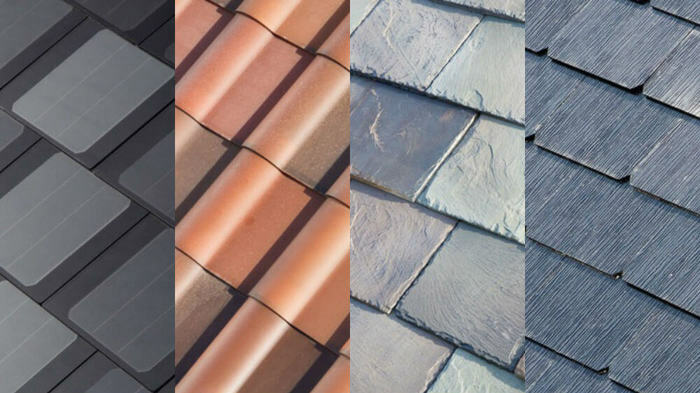 Nevertheless, this solution only makes sense if it is made with a good mind, in other words, being sure that it will be used with renewable energies, with a possibility to recycle them and to have a good warranty for batteries. 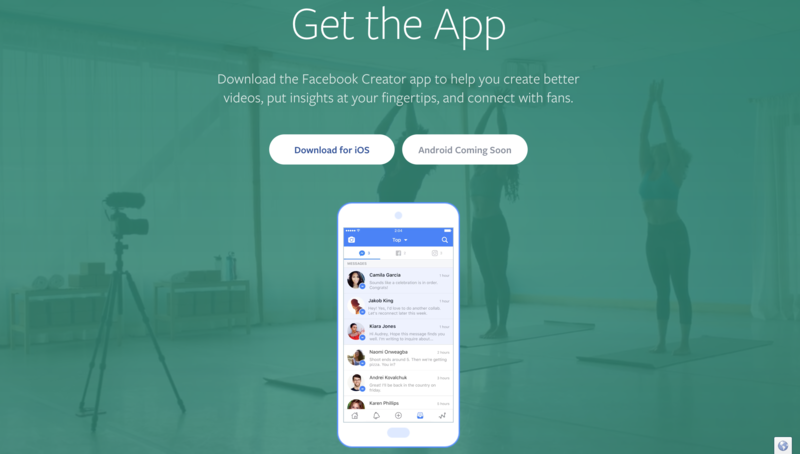 Facebook Creator – a better way of meaningful content creation or just another Facebook app? 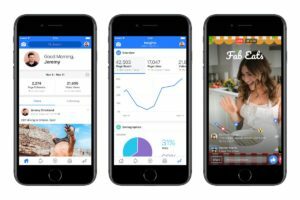 With its new objective to change mindless video consumption into “time well spent”, Facebook has recently released an app for creators. 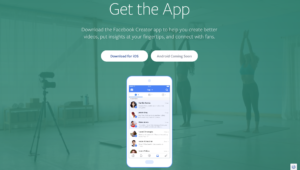 Facebook Creator provides a wide range of offerings to influencers including new tools for video streaming and story updates, a unified inbox of comments and chats from Instagram and Facebook, a cross-posting platform, broad analytics and page insights. 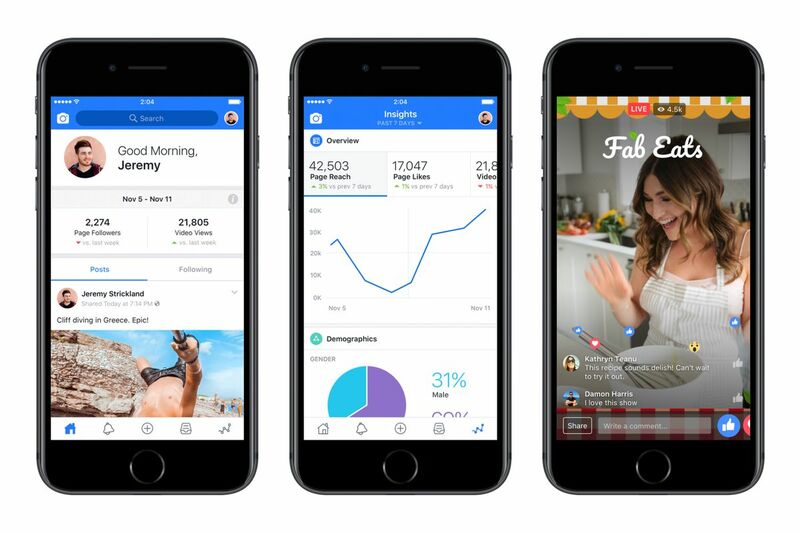 Facebook for Creators is supposed to help influencers to grow their fan base through enhancing their content so that it is more meaningful to their followers. The idea for the app was to provide content creators with one functional platform, from which they would be able to more efficiently manage their online presence making it more personal and interactive. Although, the goal behind the new Facebook product seems like a big wow, what Facebook failed to mention is that it has long had an app similar to the one they have just released. A celebrity exclusive Facebook Mentions was an app that allowed public figures to monitor their mentions on different social media platforms and to keep in touch with their fans and people they cared about. 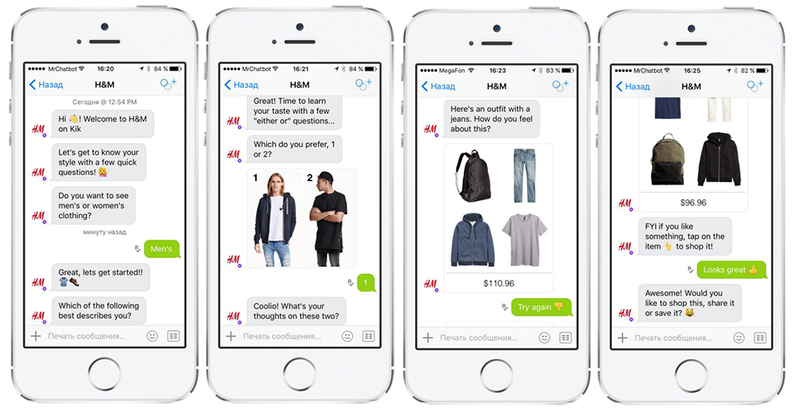 The app provided similar functionalities as the new Creator App. As a matter of fact, Facebook Creator has replaced the original Facebook Mentions app, making the new product not so new anymore. What used to be an exclusive platform for celebrities has now become an open and widely available to everyone on the App Store, Creator App. Therefore, instead of coming up with a totally new product as many articles seem to call it, Facebook has only updated and rebranded its original Facebook Mentions. Special features have been introduced allowing influencers to create custom intros and outros, and to add interactive stickers and custom video frames. Users can also access Facebook camera and story sharing from the app and cross-post to Instagram and Twitter. This last feature is definitely helpful as it might not only save content creators’ time, but also encourage them to build higher-quality content. A unified inbox between Facebook Messenger and Instagram has been created giving users access to all their messages and notifications on one platform. 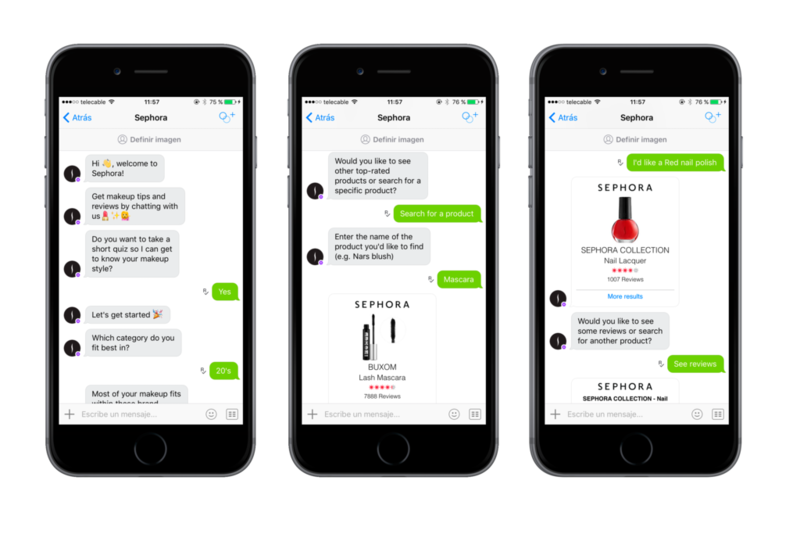 This streamline feature might help influencers to reduce the time to answer their followers and make it easier to hold a two-way conversations with their fans without the need to bounce between the two apps. This feature will help content creators to get insights about their fan base demographics and preferences, as well as possible brands that might be interested in partnership opportunities. 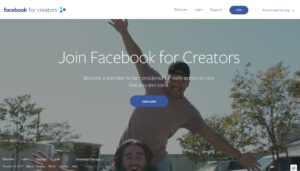 In addition, Facebook has also launched a new website – Facebook for Creators, with a goal to provide content creators with inspiration and learning support. The platform and the app seem like a great way to create a welcoming community of content creators. Facebook has definitely showed their care about the community of independent vloggers, and although Youtube is still Facebook’s biggest competition, the company has taken time advantage with their product launch over the fact that many Youtubers have been experiencing issues with a bot that demonetizes and limits the ads on their videos. 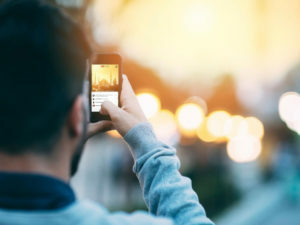 However, to gather more influencers on the platform, Facebook Creator could think about new ways to help them monetize their content. As for now, content creators are only able to monetize through creating branded content label with Facebook’s partnership tagging feature. This is extremely limited comparing to Youtube’s monetization options. Therefore, in order for more influencers switching to Creator app, Facebook would need to explore different business models. Another thing that Facebook Creator could do better is introducing a way to facilitate the communication not only between content creators and their fan base, but also between Facebook groups, so that fans could interact with each other. This might help to better meet Facebook’s goal of bringing people together around their passions. Drones to reduce traffic violations? According to WTO (World Health Organisation), 1,25 million died by road traffic related accidents globally in 2013. Not to mention the several millions of serious injuries. Either these numbers tells us that people do not take the regulations and restrictions regarding road traffic as serious as they should, else road traffic is dangerous itself. Nevertheless, with this in mind, it is a pleasure to present to you a solution that is currently occurring on trials in Bordeaux, France. 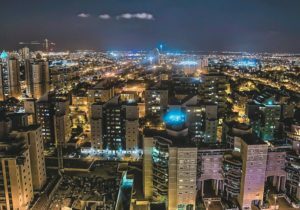 This is the story about flying drones – an innovation that might be able to catch drivers that are violating the traffic regulations. Basically, it is a flying machine that is equipped with a camera that provides police officers with a live-stream of a wide area, which makes the whole process of catching crazy drivers more efficient. When a driver, who’s for instance driving like a complete maniac, is spotted, the drone will keep track of him until a cop easily can pull him or her over. 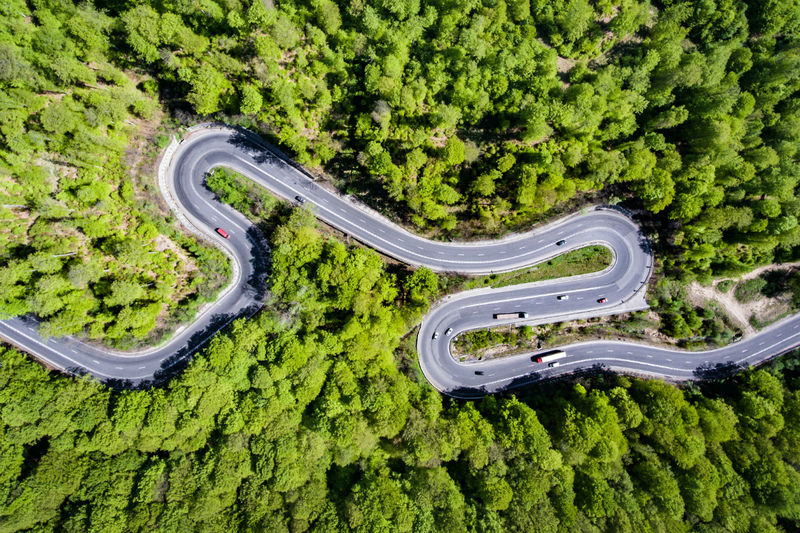 Unfortunately, it is not possible for the drone to detect if a driver is breaking a speed limit, but it most certainly has the possibility to spot a drunk driver driving that’s struggling with the matter of keeping the vehicle steady. The article mentions some criticism against this idea, with the concern that some motorists might take their eyes of the road just to spot the drones, thus causing more accidents. Nevertheless, the government is reported to be interested in further expansions within this system. In my opinion, this is probably the most accurate argumentation against such an innovation. If this drone actually works, it might save the police a lot of time in their fight against traffic violations. On the other hand, if the statistics later on can show that the drones sometimes actually is the cause of some accidents, then this investment will be a total waste of money. In addition, I suppose some violators might even just blame the drones, even though it was entirely the driver’s fault, just as an attempt to get more excused. Even though I mentioned that road traffic is reason of millions of peoples deaths, my opinion is that the police has more important tasks to do than chasing bad drivers. If an innovative product like this might allow the officers to spend their time within other crime areas, it’s definitely worth giving a shot. Like in business life, one can compare the police resources to a company’s resources. An innovation that can relief the pressure of a certain department within an organization is considered beneficial. The environment is constantly changing and one can assume that the police officers also faces changes in their daily works. With implementation of new technology into their tasks, they might be able to cope with these changes. Thus, the conclusion is that this innovation is considered being of high value, even though it probably needs to be more developed. I mean, some additional features is necessary, for instance the ability to catch speed violations, since I suppose these violations are the ones causing most of the deaths. Keecker – The robot which will revolutionise your home (and your life)! Who has never dreamt about having a cinema room at home? Or about listening to music without bringing the speaker wherever you go? And what about falling asleep under a “sky full of stars” inside your bedroom? In addition, are you fed up with all the cables of your TV screen connected to all the devices? This 38-centimeter tall egg-shaped globe isn’t a dog but can follow you as a dog. Moreover, this strange robot is the solution to the desires and problems mentioned above. Keecker also includes an adaptable video projector. Thanks to its connectivity with a wide range of electronic devices, you can watch your YouTube videos or your favorite movies at home as if you were at the cinema. Another amazing feature of this device is that the LED projector can be used on any surface and oriented by 90°: it is now possible to project your content on the ceiling. Amazing, right? Moreover, by combining the camera and the projector, you could make live videoconference with your co-workers or family for example. In order to make the cinema experience at home complete, the robot comprises a 4.1 audio system. This means that there are 4 speakers of 10 watts in addition to a 50 watts subwoofer, which can produce up to 117 decibels – tell your neighbors when you’re using it, because it’s equivalent to a concert or a plane! This robot can also wake you up at the right time by playing your favourite music. This robot is able to move around in the whole house thanks to wheels located below the subwoofer. In order to not hit obstacles, Keecker has a lot of sensors around its “body” and has a 5-megapixel front camera and a 3D depth sensing camera in addition to the 360° 13-megapixel fisheye camera, which helps its “brain” to memorise and map your house. You won’t have to move the TV screen with all the cables from the living room to your bedroom anymore to resume your video game or your movie. In addition, Keecker is autonomous and smart enough to go back to its charging station when it feels that it needs energy. The only thing you have to do is to show Keecker – during the setup – where its charging base is in the house and the robot will memorise the location. Regarding to the connectivity of this device, Keecker works with Wi-Fi network and with Bluetooth. Keecker has its own operating systems – Keecker OS1 – which is based on Android 7 TV (Nougat) operating system – and works under a powerful Qualcomm Snapdragon 820 processor. This OS allows Keecker to download videos in its hard drive or to stream live videos. If you prefer using your computer instead of your smartphone, there is a remote-control web application for all PC, Mac, Windows Phone or other browsers (Linux, …). To get one of these outstanding robots, you’ll have to spend minimum 1790€ (for the 32-gigabyte version). The 160-gigabyte version is worth 1990€. The number of robots is limited, so don’t hesitate to order yours as soon as possible (if you’re obviously interested in it and if you can afford it). I might probably get one of these robot later because Keecker is like a gathering of every connect object we might have at home. In my opinion, it has always been a dream to have a cinema room in my future home. This robot will completely change the experience of teleworking from home, of listening to music and of watching to TV/movies. Thanks to it, instead of sitting on an awkward chair at your desk, you could have videoconferences comfortably sit in your sofa, without bringing all the stuff (webcam, computer, …) into the room where you want to move. I think this device could be useful for a lot of things, like projecting a nursery rhyme or listening to a fairy tale for kids going to sleep, looking at your virtual coach while doing yoga or searching for a tutorial on YouTube while cooking without having to wash your hands (thanks to the voice recognition feature). The only bad thing is that this device isn’t available to everybody due to its limited quantity and its price. But, maybe, after several months, the company will grow and produce more robots with probably more features. But, nevertheless, this is a great beginning.